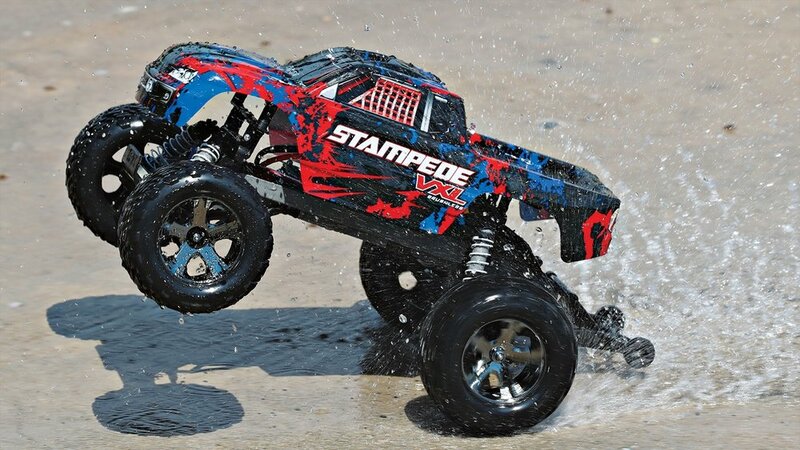 Traxxas' Stampede VXL & Rustler VXL: Hot New Colors! Traxxas has retired the stale paint schemes on the Rustler VXL and Stampede VXL to make way for some new, and really cool looking designs. Both now feature either a red or green design with blue and black elements for a truly fresh look, and both designs are now on the shelf! Stop in and check them out in person, but until you can, here are some more pics to tide you over. 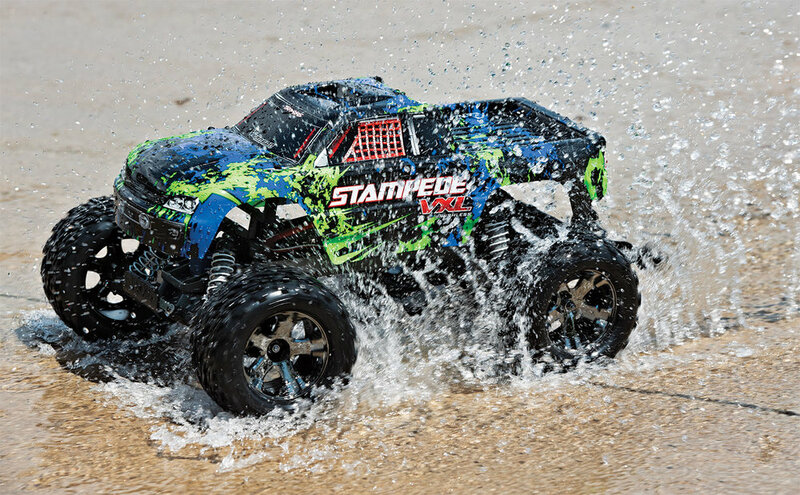 The Rustler VXL runs $289.99, while the Stampede VXL sells for $299.99.